Tom Steyer, one of the biggest Democratic donors in the country, openly mulled spending on O'Rourke's behalf via his environmental super PAC, NextGen America. WASHINGTON – U.S. Rep. Beto O'Rourke has a message for a California billionaire who is considering spending big money on his U.S. Senate race: "Thanks, but no thanks." Tom Steyer, one of the biggest Democratic donors in the country, on Tuesday openly mulled on CNBC spending on O'Rourke's behalf via his environmental super PAC, NextGen America. O'Rourke has long said he would not accept corporate PAC or super PAC money for his campaign, but he has no control over whether Steyer or anyone else runs ads on his behalf through an outside group. "He can still do it," O'Rourke said. "Literally, not only do I not have any control but I'm prohibited by law from coordinating. Having said that, for he and anyone considering doing this, we don't want that. It's not the way to run this, and I'm convinced it's not the way to win." The El Paso Democrat was emphatic outside of the U.S. House chamber when asked about Steyer's comments. "Thanks, but no thanks," he said. "That's my response. [I] don't want it. That's not how we're doing this." 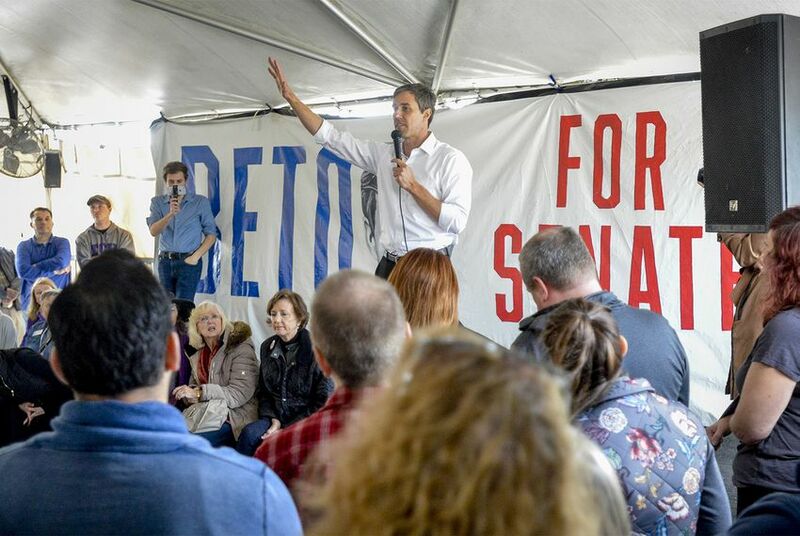 O'Rourke added: "This is going to be a real test for Texas and for the country and our democracy to see if people are a match for the PACs and the super PACs and the special interests and the corporations, and I'm all in on the people." O'Rourke previously told the Tribune he did not want super PAC support, but the Tuesday remarks were directed at a specific donor. "With all due respect, we don't want any PACs or super PACS ... or independent expenditures or any of that stuff," he said, adding that he has not met Steyer. There are also in-state Democratic donors who are overtly ignoring O'Rourke's wishes, according to the Fort Worth Star-Telegram. O'Rourke outraised the seat's occupant, U.S. Sen. Ted Cruz, by a more than two-to-one margin in the first quarter of this year. Cruz, however, is expected to have a robust super PAC apparatus supporting his bid for a second term.